Who Will Help Women in Tech? “Right now, the men who are in leadership positions in Silicon Valley and across the tech industry are the ones who can do something to help women go to the next level. They are key to making sure that more women sit at the table and make decisions,” said Susan Wojcicki, YouTube’s CEO when asked Who will help women representation in tech? at a panel on Women’s Leadership during Dreamforce on Thursday, in San Francisco. “In my career, a man had a vote of confidence on me, believed in my talent and supported my development, helping me get greater confidence to achieve a position of leadership,” Wojcicki also commented. The Women’s Leadership Panel was a closing event for Day 4 at Dreamforce, and it was moderated by Gayle King from CBS, whose expertise played very well in making a lively conversation. Dreamforce is the most important tech conference and one that attracts thousands of participants from all over the globe. Dreamforce takes place every year in San Francisco’s Moscone Center, not far from the place Salesforce started. 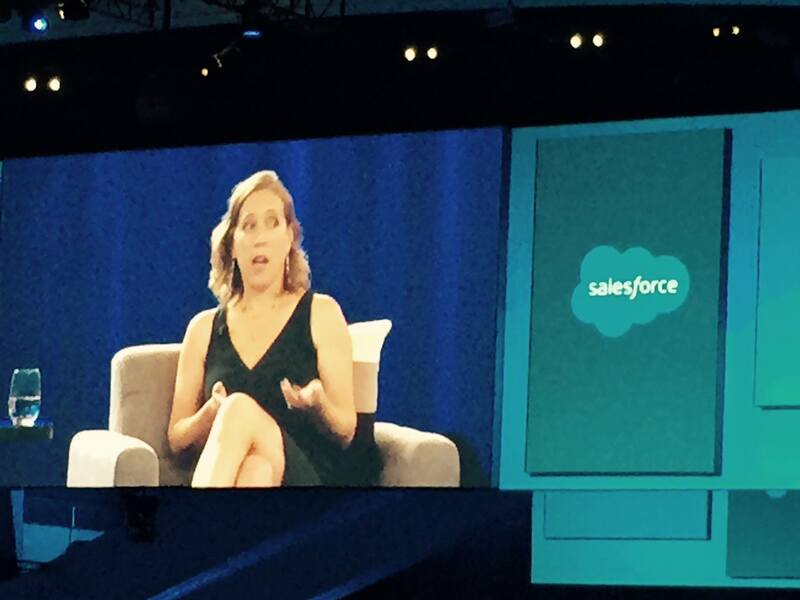 Previous Jessica Alba Rocked at Dreamforce! Next 2 Latin Films to Watch This Weekend.